For more than 85 years, rotary tools have been favored by woodworkers, metal fabricators, machinists, toy makers, hobbyists, jewelers, model makers and, of course, do-it-yourselfers. Invented back in 1932 by Albert Dremel, the super-versatile rotary tool can be used to cut, carve, grind, etch, rout, sand, buff, sharpen and polish virtually any building material ranging from wood, metal and tile, to glass, stone and plastics. However, to get the most out of your rotary tool, it’s important to have a wide variety of accessories on hand. Here, I’ll highlight 10 of the most popular—and useful—of all rotary tool accessories. Add these accessories to your rotary tool kit, and you’ll be ready to tackle any project. Keep in mind that this list represents just a small sampling of the dozens of accessories available. Sanding wood may never be fun, but you’ll find it much easier when using a rotary tool and drum sander. This accessory consists of a 1/8-inch-diameter shank mandrel and attached rubber drum. Slip an aluminum oxide abrasive sleeve onto the drum, and you’re ready to start sanding. When the sleeve wears out, simply replace it with a fresh one. Rotary-tool drum sanders are commonly available in 1/4- and 1/2-inch diameters. Abrasive sleeves come in a variety of grits ranging from very coarse 60-grit abrasive to extra fine 240-grit abrasive. Besides sanding and shaping wood, drum sanders are also great for smoothing fiberglass and removing rust and corrosion from metal surfaces. The 1-1/4-inch-diameter wheel of this unusual-looking accessory is coated with durable, super-sharp tungsten carbide grits. Use it to cut and contour softwoods, hardwoods, plywood, composites, laminates, fiberglass and various plastics. Because the wheel is coated with grits on both sides, it cuts and smooths in one pass, leaving behind a clean, finished surface. Hobbyists, woodworkers and arts-and-crafts enthusiasts regularly use rotary tools for precise engraving. This 1/8-inch-diameter high-speed steel bit can be used to engrave, etch, rout and carve various materials, including wood, fiberglass, plastics and even soft metals, such as copper. Be sure run the rotary tool at a higher speed for hardwoods and a slower speed for metal. 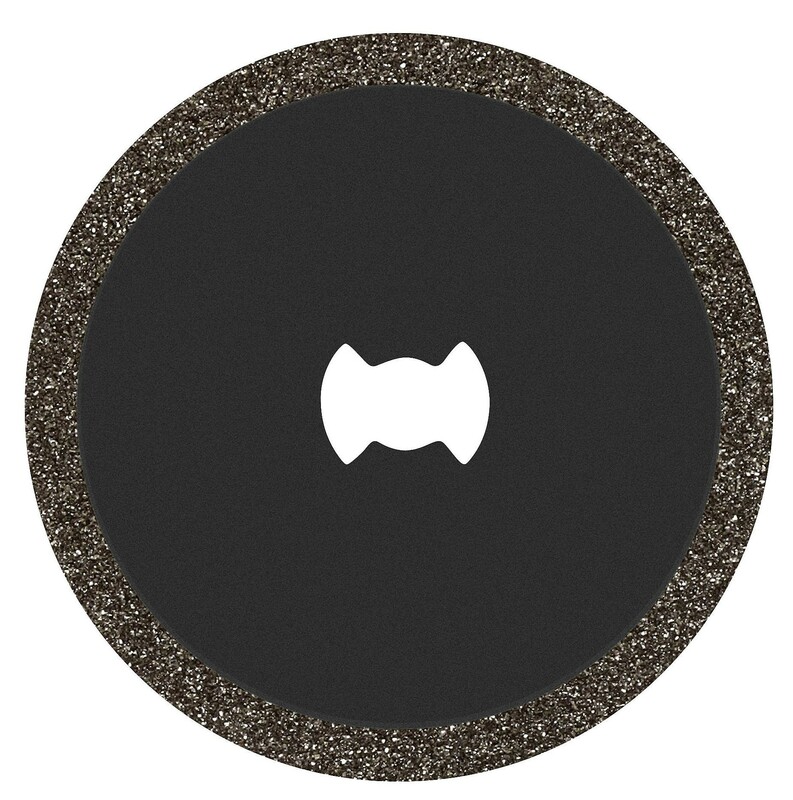 This 3/16-inch-diameter accessory is similar to a drum sander, except that it’s coated with ultra-sharp, long-lasting diamond particles, which remove material very quickly and easily. Use the diamond-wheel point to cut, shape, carve and smooth hardwood, glass, ceramic tile, semi-precious stones and even hardened steel. Designed for drilling small-diameter holes in glass, this double-ended accessory is actually two accessories in one. There’s a 1.6-millimeter bit on one end and a 2.1-millimeter bit on the other. Use it to drill or enlarge holes in glass, clay pots, tile, stone, seashells and many other hard materials. For optimum efficiency, keep the surface wet during drilling. When equipped with a router base, a rotary tool can be used for precision routing operations in wood. Install this 1/8-inch-diameter straight-cutting bit, and you can rout grooves, dadoes, mortises and shallow recesses for inlay veneers. The high-speed bit has two cutting flutes for smooth, chatter-free cuts. 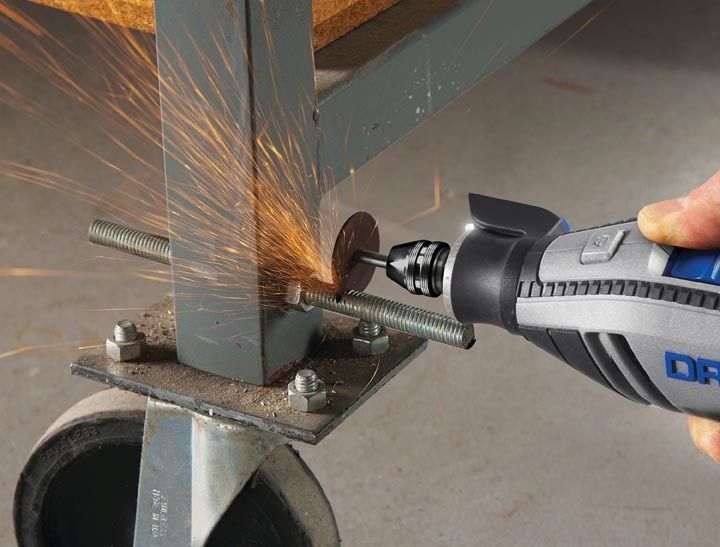 The high-speed motor of a rotary tool makes it ideal for quickly cutting metal. The most common metal-cutting accessory is a fiberglass-reinforced abrasive cutting wheel, which is affordable and efficient. However, because it’s an abrasive wheel, it grinds down pretty quickly and has a relatively short life. 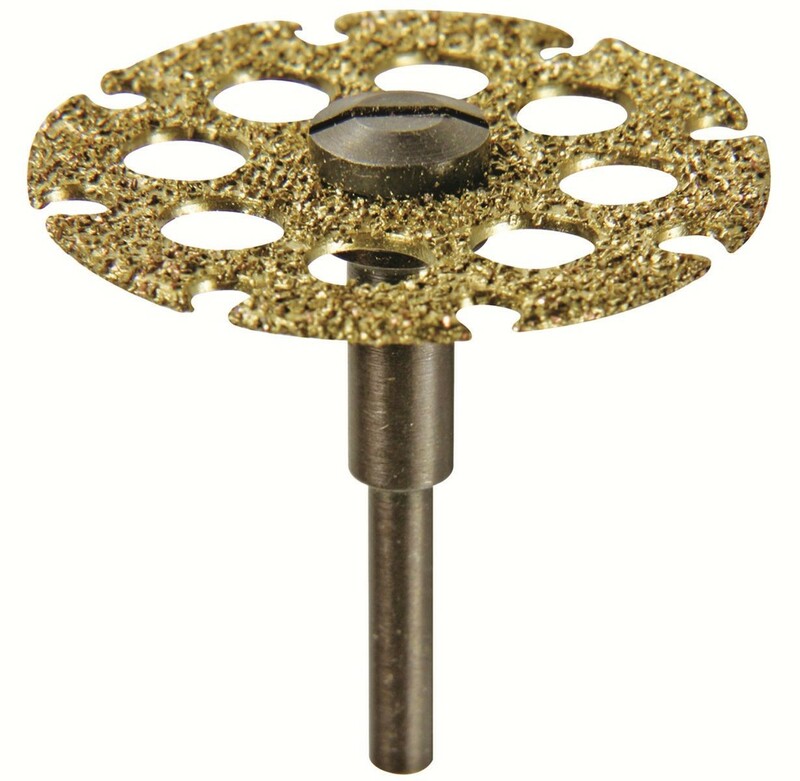 The premium metal-cutting wheel shown here is coated with super-durable grits called, cubic boron nitride, which lasts 20 times longer than a standard fiberglass-reinforced wheel. Use this accessory to quickly slice through sheet metal, conduit, threaded rod and copper pipe. 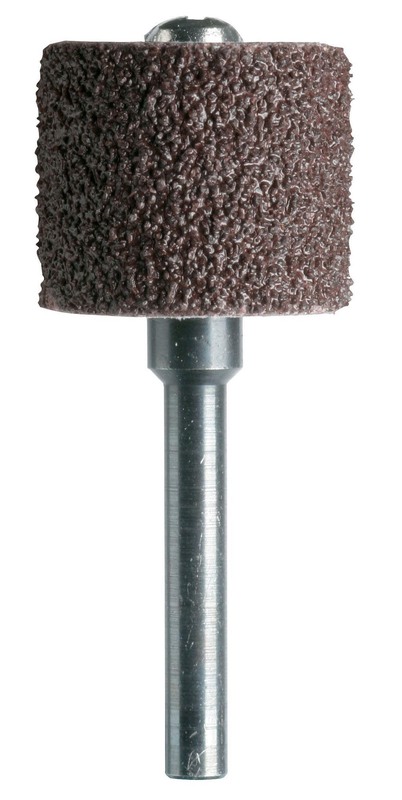 Convert your rotary tool into a precision sharpening machine with this aluminum-oxide grinding stone. The 3/8-inch-diameter stone can be used to sharpen a wide variety of cutting tools, including lawnmower blades, knives, scissors, pruning shears and loppers. It’s also great for grinding off rivets, smoothing welded joints and removing rust. This innocuous-looking bit is one of the most useful and versatile of all rotary tool accessories. As its name implies, it’s designed to cut through a variety of materials, including wood, hardboard, plastic, drywall, laminate, polystyrene and aluminum and vinyl siding. This 1/8-inch-diameter high-speed steel bit has deep, elongated flutes that cut quickly with minimal effort. Use it for both edge cutting and plunge cutting. This rather odd-looking accessory is often referred to as a structured-tooth cutter. Its 5/16-inch-diameter conical head is studded with tungsten carbide, a mineral that’s nearly as hard as diamonds. Use it to shape and cut resilient materials, such as epoxy, hard rubber, laminate, plastic, ceramic tile, particleboard and wood, which would choke or rebuff other accessories. 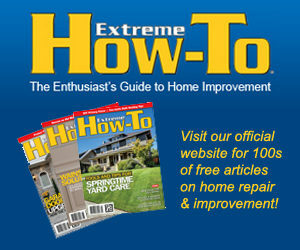 Editor’s Note: Joseph Truini is a home-improvement expert who writes extensively about do-it-yourself home remodeling and repair, woodworking projects, and tools and techniques. He has authored six books and his work has appeared in several national magazines. He also writes for the Home Depot, which carries a wide selection of rotary tools and accessories.